Place mashed beans and tuna into a bowl. Add red onion and celery. Prepare dressing of olive oil, lemon juice, dill, salt and pepper, if desired, then mix the dressing into the beans and tuna. 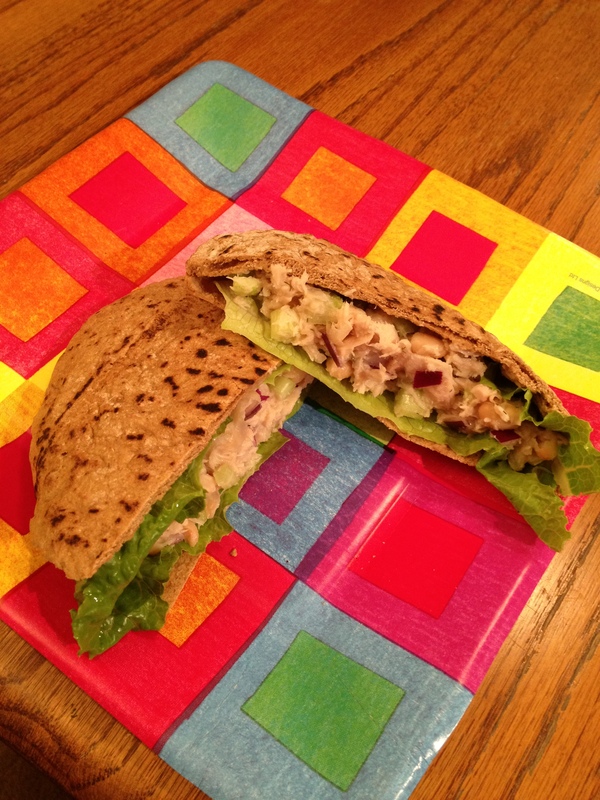 Lightly toast the sliced pita bread, insert a leaf of lettuce, then spoon in the bean and tuna mixture.